The index opened positive around 8179 and went on to make a new high for the year but profit booking saw the index close lower at 8179.95, gain of 19.85 points. The broader market was positive with 873 advances to 684 declines. Range has narrowed down to 8000-8400. Call option 8200-8500, 8700 added 8.50 lacs OI with short covering at 8100 and below strike prices. Put option 8200-7800 added 18.00 lacs OI with profit booking at 7700 strike price. 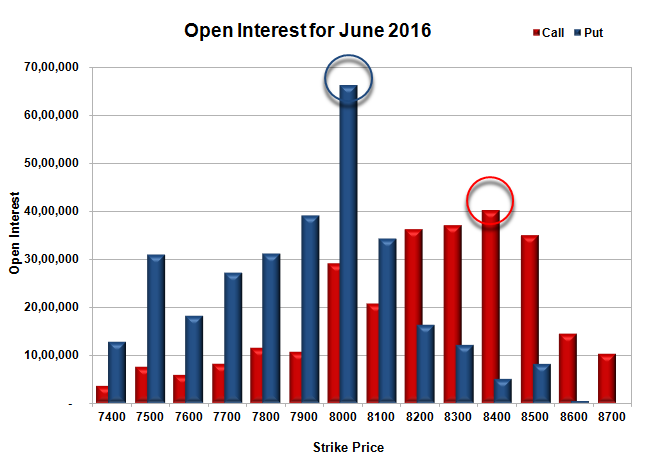 Nifty Open Interest is at 2,14,99,350 down by 1,30,800, with increase in price, probably short covering. 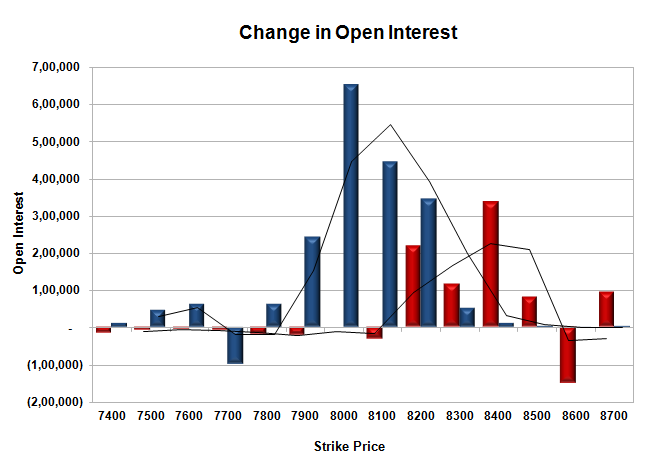 Bank Nifty Open Interest is at 16,56,030 down by 49,920 with decrease in price, probably long liquidation. FII’s sold 4612 contracts of Index Futures, which includes net 149 contracts long build-up and 4761 contracts short build-up, with increase in net OI by 4910 contracts, includes 24932 longs to 29544 shorts for the day. FII’s Index future open contract as on date is 243803 Longs to 49670 Shorts, Net 194133 down by 4612 contracts. Initial support stays at 8100, with OI of 34.25 lacs and below that at 8000 with highest OI of 66.25 lacs. Initial resistance still at 8200, with OI of 36.19 lacs and above that at 8300 with OI of 37.04 lacs. 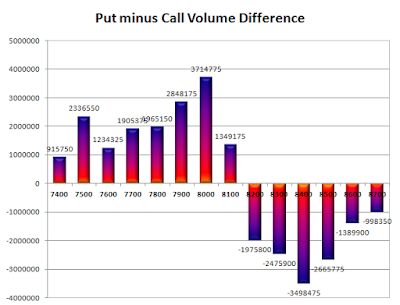 Day Range as per Option Table is 8116 - 8251 and as per VIX is 8112 - 8248 with 8189 as the Pivot.